There are many different ways to acquire Bitcoin, and in this page I’ll show you the most popular methods of getting yourself some units of the world’s most popular cryptocurrency. Right now, you can expect to shell out more than $15,000 for a single bitcoin! The good news is that you don’t have to buy a whole bitcoin. Each bitcoin can be divided into 100 million units called Satoshis (named after Bitcoin founder, Satoshi Nakamoto). This means you can buy a few thousand Satoshis for a few dollars. While this won’t make you rich, you can at least get a feel for how bitcoins and cryptocurrency works. Getting paid with bitcoins is not a complicated process at all. You simply need to have your own bitcoin wallet so you can start receiving payments. For starters, you can create a free online wallet on Blockchain.info or Coinbase. All you need is a valid email address to sign up and begin receiving payments! Once your wallet is set up, you can either generate a QR code or use the long alphanumeric address and send it to the person you wish to receive bitcoins from. There are many different types of work you can do to get paid in bitcoin. It doesn’t matter if you work online or offline as making and receiving bitcoin payments is so simple you don’t really need technical know-how to do it. Solopreneurs find this payment method so much more convenient as they don’t need to wait 24-48 hours (or more for international workers) to receive bank transfers from their clients. They can receive their payment, salary, or wages in just a few minutes. Whether you are an online shop or a brick-and-mortar store, you can choose to receive payments in bitcoin. With a growing community of bitcoin users, you’re bound to get new and repeat customers who will do business with you simply because you’re forward-thinking enough to accept bitcoin payments. The added benefit to customers is they can easily send you payments straight from their bitcoin wallets while you receive their payments almost instantly. It’s really a win-win situation for both you and your customers! 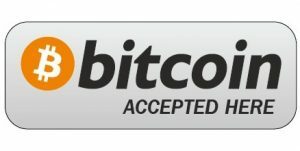 For online shops, you can use plugins or scripts to start accepting bitcoin payments on your site. If you’re unsure of how you can do this, it’s best to hire a developer to make sure it’s set up right (you don’t want those bitcoin payments going somewhere else!). When your customers go to your checkout page, they’ll see the bitcoin option and select that if they want to pay using bitcoins. For local shops like hotels, restaurants, bars, cafes, flower shops, groceries, etc., if you want to receive bitcoin payments in person, all you have to do is just print your wallet’s QR code and pin it near your cash register. When your customers are ready to pay, simply direct them to the QR code, have them scan it on their mobile phones, enter the amount they need to pay, hit Send, and wait for your bitcoins to arrive. You don’t need to be in the service industry to receive tips. If you have a blog, you can set up a bitcoin payment gateway where your loyal fans and readers can tip you if they so desire. Don’t underestimate the generosity of your audience especially if you produce content that provides a lot of value to them. Try it out – you just might be surprised to see some bitcoins on your wallet after a few days!